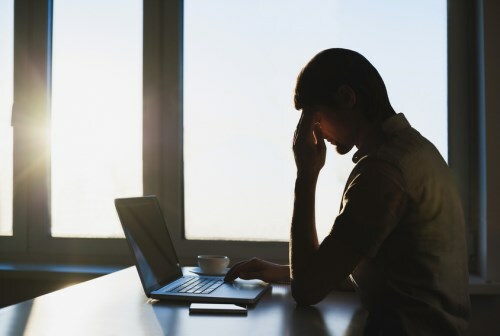 Employers are being encouraged to teach their workforce how to better manage stress after a new study found certain coping mechanisms are far more detrimental than others. According to a research by software firm Bridge by Instructure, employees adopt various ways of overcoming stress – some benefit both the employee’s health as well as the wider organisation while others can have a serious impact on productivity. In the study, 26 per cent of respondents admitted to being unproductive for more than a quarter of the day when they’re stressed with staff spending an average of 77 minutes a day watching non-work-related TV or videos. Employees also turned to caffeine (34 per cent) as well as sugar, alcohol, anti-anxiety medications and even sleeping pills in an effort to overcome anxiety. However, not all coping mechanisms were so destructive – the study found that many turned to yoga, exercise or meditation (30 per cent) while others listened to music (15 per cent), took a walk (15 per cent), tackled hard projects first (14 per cent) and even learned to say no (13 per cent). The study also found that some employers are missing key opportunities to reduce the level of workplace stress – just one third of employees are encouraged by their employers to take paid time off while only 11 per cent are encouraged to take mental health days as a way to use sick time. When asked about certain elements causing stress, seventy-eight per cent of employees indicated they felt they had to work more, 53 per cent said they felt they needed to engage in workplace politics, 50 per cent said they were compelled to socialize outside of work and 43 per cent said they had to act interested in a superior’s “dumb story” because they felt all of these were important to getting ahead professionally. As a result of these stressors, 45 per cent of respondents are only “somewhat satisﬁed” with their current job in comparison to their overall career aspirations. Similarly, 44 per cent are “somewhat satisﬁed” with their current job in comparison to the opportunities available at their companies.